BCI Painting and Decorating - Painter/Decorator based in Kingswood, Avon. 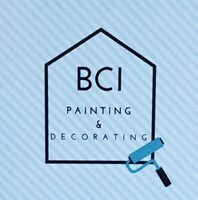 BCI Painting and decorating is a small family ran business with an excellent reputation. We cover Bristol, Bath and surrounding areas and can offer a wide range of decorating services. We pride ourselves on being reliable and very attentive to detail. Our goal is to provide services to the highest standards to ensure customer satisfaction. We are fully insured and provide free quotations!